Designs are protected by the new Industrial Property Law (6769), which entered into force on 10 January 2017. However, the registration processes for national and international applications filed before the new law’s entry into force must be finalised within the scope of the previous Decree-Law 554. According to the new law, both registered and unregistered design protection is available for new and distinctive designs. the Hague Agreement Concerning the International Registration of Industrial Designs (1 January 2005). Under the Industrial Property Law, unregistered designs are protected for three years from the date on which the design is first made available to the public in Turkey and the owner of the unregistered design shall prevent the copying of the design, provided that it meets the criteria of novelty and distinctiveness. It is not possible to file an application to protect unregistered designs. In addition, unregistered designs are protected under unfair competition and copyright provisions. In this context, the Commercial Law, the Law on Intellectual and Artistic Works (5846) and in some cases the Civil Law can be enforced to protect unregistered designs. Copyright is an IP right that protects written, dramatic and artistic works. If a design is original and not copied from another source, it may automatically be subject to copyright protection. In such cases, the creation date of the design is significant. As a general rule, any dishonest commercial practice constitutes an act of unfair competition. Although this general rule may apply in many cases involving unregistered designs, the protection afforded under it is much weaker than that afforded by registration. Since it can be difficult to prove ownership of unregistered rights – especially in the absence of dated materials – registration is always recommended. According to Article 59 of the Industrial Property Law, rights to a design are vested with the designer or his or her legal successors. If a design is created jointly by multiple persons, the joint proprietorship provisions will apply, unless a contrary agreement exists among the parties. According to Articles 73 and 74, the employer is the rights owner of designs carried out by employees as a result of benefitting from information and tools related to general activity in the business organisation. This also applies to trainees and lecturers in universities. Employees have a right to request a price according to the importance of the design. If the parties cannot agree on a price, the court will decide. The appearance of the whole or a part of a product can be registered as a design. Design registrations can also protect the ornamentation and aesthetic aspects of a product. These include features such as the product’s lines, colour, texture, shape and decoration. Registered design protection is granted to designs that are new and have individual character according to Article 56 of the Industrial Property Law. In addition, designs of products that are parts of complex items can be protected if the design is new and has individual character. The novelty requirement is also set out in Article 56, which states that “a registered design shall be considered new if no identical design has been made available to the public in the world before the date of reference. In case of unregistered designs, they shall be considered new if no identical design has been made available to the public in the world before their first publication”. The individual character of a design is evaluated on the basis of the overall impression that it creates on the informed user. According to Article 56, the design of a component of a complex product can be considered to meet the novelty and individual character requirements only if the component part is visible in normal use after being connected to the complex product. With regard to the protection of spare parts, Article 59 of the Industrial Property Law states that “The use of the dependent part of the appearance part of a complex product by third parties, after 3 years from introducing the product incorporating the design or to which the design is applied, shall not be considered infringement of rights on the condition that the use is for repair purposes so as to restore the original appearance of a complex product and the public is not misled as to the origin of the product used for repair”. Registration fees for designs vary depending on different criteria, such as the colour of the design, the number of designs submitted and possible priority claims. The official fees for design applications are available at http://www.turkpatent.gov.tr/TURKPATENT/fees/informationDetail?id=111. Attorneys’ fees will also apply. According to Industrial Patent Law 6769, the grace period is 12 months from the application date or priority date if any priority has been claimed. Any disclosure will not affect the novelty or individual character of the application within this period. Design applications can be filed electronically or in hard copy. According to the Industrial Property Law, the application should contain a petition which includes the applicant’s identifying information and an illustration (eg, drawing, painting, graphic, photograph or similar representation) of the design which is reproducible and reflects all of the design’s specific features. The designer has the right to state his or her name while filing an application; however, under the new law, the designer may also request that his or her name be kept private. The application must also contain a list of the products into which the design is intended to be incorporated or to which it is intended to be applied. In this regard, designs are classified according to the Locarno classification system. In addition, according to the new provisions of the Industrial Property Law, a written description of the design is not mandatory. It is possible to claim protection for multiple designs in a single application, but the products should belong to the same sub-class or the same set or composition of items. A registered design is protected for five years from the date of filing and is renewable for five-year periods, up to a total term of 25 years. The Turkish Patent and Trademark Office (TPTO) will refuse a design application that does not include an application form, drawings, a written description and the application fee. Applications that fail to meet the novelty requirement as a result of the search conducted by the TPTO will be completely or partially refused; therefore, a design search before filing the application is recommended. An appeal can be filed against a provisional refusal decision of the TPTO within two months. If the TPTO concludes that there are no deficiencies in the application, it will be recorded in the Design Register and the filing date will be entered as the date, hour and minute on which the application was originally filed. where a sample has been deposited, a reference to such deposit. Publication may be deferred for up to 30 months from the application date. Third parties may file an opposition against a design registration with the TPTO within three months of the publication date. Oppositions should fulfil the requirements stipulated in the regulations and the grounds for opposition should be clearly described. The opposition, together with its justification, is then communicated to the rights holder to enable it to submit views and observations. The Re-examination and Evaluation Board of the TPTO examines the submitted opposition documents to verify the rights holder or the novelty and individual character of the design. If an opposition is not filed within three months or the filed opposition is refused, the certificate of design registration will be issued and forwarded to the applicant. Where the three-month opposition period has expired, the matter can be referred to the courts for cancellation or a declaration of invalidity of the design registration. After registration, the rights holder may surrender all or part of its rights arising from the design registration. The surrender must be filed in writing with the TPTO. Surrender will have effect as of the date of entry in the Design Register. The rights holder cannot surrender its rights without first obtaining the consent of any licensees or other holders of rights recorded in the Design Register. the relevant design rights actually belong to another person or persons. Any person who has a legal interest may request invalidity, with certain exceptions listed in the Industrial Property Law. A declaration of invalidity may be requested during the period of protection or within five years of termination of the design rights. Registration gives the rights holder the exclusive right to protect its design. Owners of unregistered designs also have the right to protect their designs against infringement under the Industrial Property Law. An unfair competition action may also be initiated against possible infringement in order to prohibit use and request compensation. It is possible to file a civil or criminal action against infringement. There are specialised civil and criminal IP courts in Ankara, Istanbul and Izmir. Apart from these, ordinary civil courts handle IP matters. Both rights holders and authorised exclusive licensees may file infringement actions. publication of the decision at the infringer’s expense. the place where the infringement had effect. A plaintiff initiates an infringement action before the court by filing a writ of claims with a petition. After the action is filed, the assigned judge may appoint an expert to clarify any complex technical issues. First-instance proceedings usually take around 18 months to complete. After issuance of the first-instance decision, adversely affected parties may appeal to the Supreme Court. In such case, the Supreme Court will fix the date for a hearing, at which both parties’ attorneys may clarify the merits of the appeal. The Supreme Court then decides on the approximate timeframe for the appeal – usually between six months and one year. The Supreme Court may ultimately annul or uphold the first-instance decision. Unlike the civil procedure, in criminal proceedings the complainant is not a party to the action, but is rather involved as an intervener. Criminal proceedings usually take around two to three years to complete, including any appeal. The Code on Mediation in Legal Disputes on Certain Aspects of Civil Matters entered into force on 7 June 2012. The code is enforceable for non-criminal IP matters. According to the code, both parties may decide to resolve the dispute before a registered mediator. The Official Register of Mediators can be accessed at www.adb.adalet.gov.tr/arabulucu. Rights deriving from a design application or a registered design may be assigned to third parties, inherited or licensed with effect in the whole or a part of the Turkish territory. A licence may be exclusive or non-exclusive. Both assignments and licence agreements must be executed in writing. Registration of an assignment or licence agreement with the TPTO is not a condition for the validity of the agreement; however, registration is required in order to make the transaction public and effective towards third parties. A party that signed a licence agreement with another party that is subsequently found not to be the legal rights holder may request a licence from the legal rights holder within two months of the legal rights holder’s registration and entry in the records. Copyright is an IP right that protects written, dramatic or artistic works and exists automatically when the work is created. It prevents the work from being copied or used without the rights holder’s authorisation. To be eligible for copyright protection, the work must be original and have characteristic features attributable to the author. In this regard, owners of both registered and unregistered designs benefit from copyright protection on the design. Designs are eligible for trademark protection, unless they are devoid of any distinctive character. Designs without distinctive character will be rejected by the registrar in the ex officio examination. However, it is common to protect a product’s packaging with both design and trademark registration, since trademark protection is indefinite. If a design has novelty and is capable of industrial application, it may also be protected as a utility model. According to the Industrial Property Law, the term of protection for a utility model is 10 years from the filing date. Unfair competition is a general concept that relates to all IP rights, as provided under the Commercial Law. As a general rule, any dishonest industrial practice constitutes an act of unfair competition. Although unfair competition can be claimed as an additional argument in cases involving registered IP rights, the provisions on unfair competition are generally used in cases relating to infringement of unregistered designs. 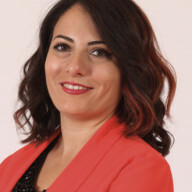 Ekin Karakuş Öcal joined Ankara Patent Bureau in 2011. She graduated from the Bilkent University Faculty of Law. She is a patent and trademark attorney and a member of the Ankara Bar Association as an attorney at law. She has been the manager of the firm’s law department since January 2014. Ms Karakuş Öcal specialises in trademark, design, domain name and geographical indications, and advises on all legal matters relating to these areas. She is a frequent lecturer and speaker on IP matters, particularly geographical indications. She is also a member of the International Association for the Protection of Intellectual Property’s (AIPPI) standing committee on geographical indications and an active member of AIPPI Turkey. She is currently a visiting scholar at Anadolu University. 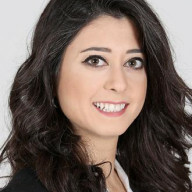 Gizem Dilan Ozmen joined Ankara Patent Bureau in 2005. She graduated from the Gazi University Faculty of Economics and Administrative Sciences. She is a patent and trademark attorney and a member of AIPPI Turkey. Ms Dilan Ozmen has been working as a manager since 2011 and was appointed head of Ankara Patent Bureau’s patent department in 2013. She specialises in patent, utility model, design, plant varieties and educates companies in these fields.